SPOILER-FREE! Not all heroes are created equal. Some are dumpling-eating panda bears. 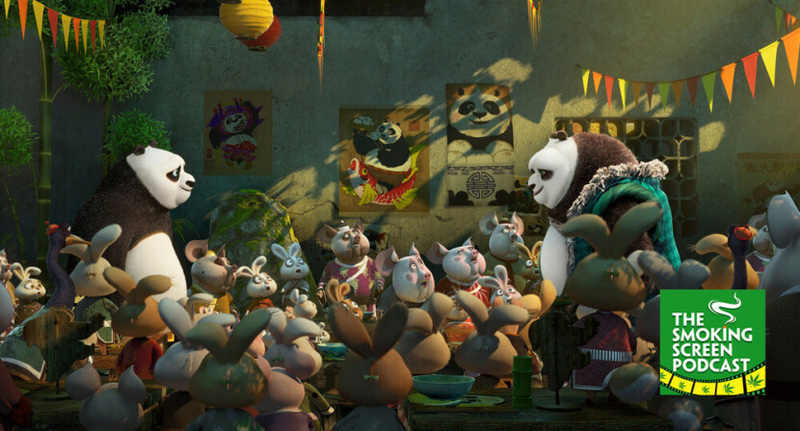 Will Jay and Cybill find inner peace as they review Jack Black in Kung Fu Panda 3? Does the combination of incredible visuals and Eastern Philosophy work one more time? Is it a worthy addition to the Kung Fu Panda franchise or is it a rehash of the first two films? Are the voice talents of Angelina Jolie, Seth Rogan, Dustin Hoffman and David Cross under-utilized? We smoke from the ceremonial bowl of enlightenment and attempt to answers these questions in episode 56 of The Smoking Screen. Come join the circle!